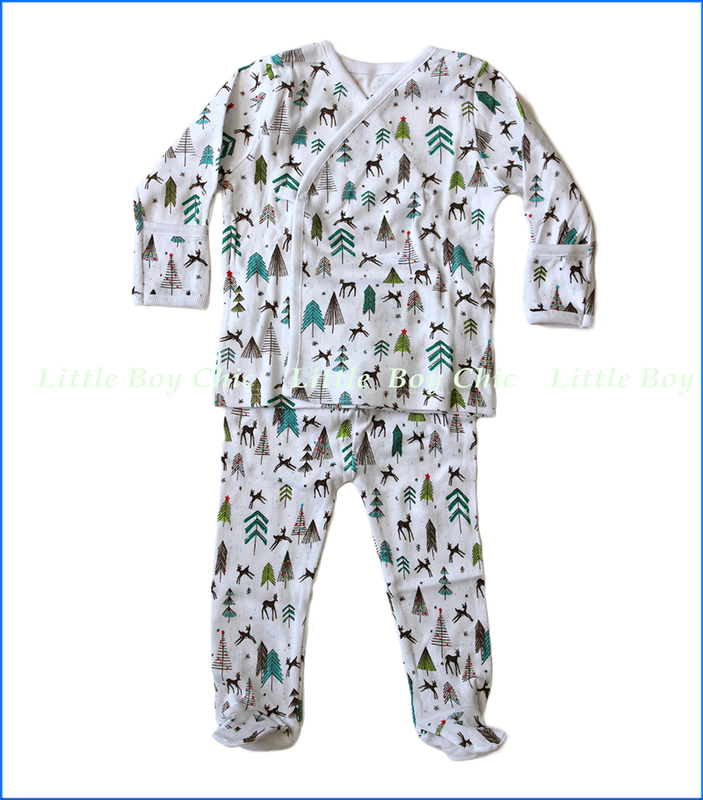 This gorgeous kimono set features prancing reindeer in a forest of fir trees. Functional kimono design makes clothing and diaper changes a snap, literally. Side snap kimono top helps take the pain out of dressing your newborn. Built-in mitten cuffs on sleeves to prevent baby from scratching his adorable face. Light weight with high quality organic cotton for a soft hand feel and cuddly against little bodies. Printed neck label so there is no tag to irritate.